Today is the day we Americans have chosen as the day to Honor our nation's Veterans for their service and sacrifice to our country. As an Air Force Veteran I would like to say THANK YOU to all Veterans of all services and eras. 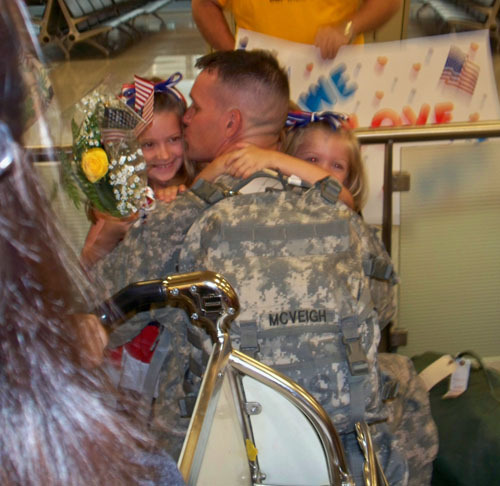 I know the commitment you have made to us and the sacrifices you and your families make for all of us. It takes a special person to dedicate their lives to the service of our nation. It takes someone who realizes there is something greater than our self. They recognize the founding principles of this nation are worth fighting for and, if necessary, dying for. American is a great nation because of the men and women who have given much and all for us. We have the freedom to express these very words because they have put their lives on the line to defend it. The Military Hand Salute is one of the oldest traditions of military history. It dates back to the Roman Empire and beyond. It is a symbolic gesture of respect recognized instantly as being that of a military person. Traditionally this salute was only rendered by uniformed members of the armed services. In 2005 Congress amended the laws governing the hand salute and extended this privilege (yes, saluting is a privilege given to those who serve, military prisoners lose the right to salute) to non-uniformed members of the armed services AND to Veterans. This was done so that others might recognize the contributions of military members and Veterans. So, when you see a person in civilian clothes rendering a military hand salute during the Pledge of Allegiance or the National Anthem, or then the Colors pass in review at a parade, know that person has made a sacrifice for you and thank them for their service. and to all who have served.